Over 8 days, cruise Bordeaux’s three majestic waterways –the Dordogne, Garonne and the Gironde – experience the pleasant French villages, towns and cities perched on their banks. Fly from the UK to Bordeaux. On arrival, be met and transferred to your ship on the Garonne River. Get to know your fellow travellers at a Welcome Reception. SIGNATURE EXPERIENCE - This evening visit Château de Cazeneuve, once home of the Kings of Navarre and later King Henri IV of France and Queen Margot. The castle is currently occupied by the Sabran-Pontevès family, descendants of the original owners. Enjoy a private tour before sitting down to dinner in the Grand Salon. FREEDOM OF CHOICE - Perhaps explore the town on a guided tour before discovering the tiny medieval village of Saint-Macaire. Alternatively, you may choose to visit Château de La Brède in Sauternes, once the home of the great philosopher Montesquieu, for a guided tour..
Take in the sights as your ship threads its way along the Gironde Estuary, cutting through the rolling countryside and alongside the historic vineyards of Aquitaine. 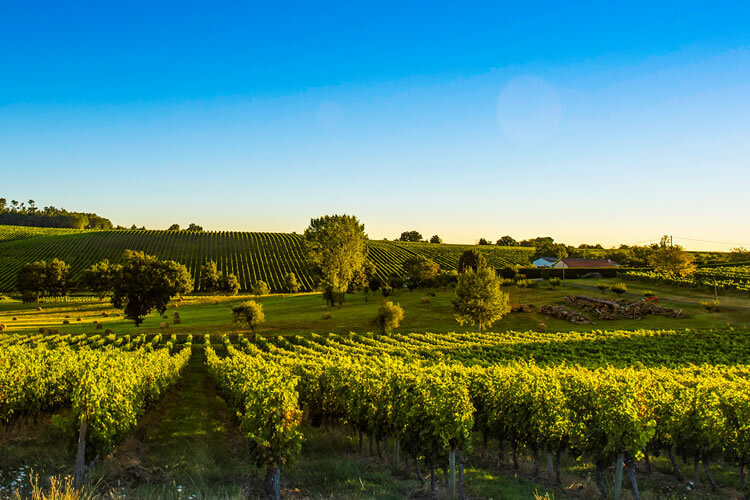 Disembark in Pauillac and journey through the famous Médoc wine region, home to some of the world’s most prestigious and expensive wines. SIGNATURE EXPERIENCE - During a visit to a local cooperage, see how wooden wine barrels are produced, then be guided by your very own expert oenologist as you embark on a sensory wine tasting journey. Learn about Bordeaux’s various grape varieties while you sample some white and red wine. You will also gain insight into the importance of preparation, temperature and ventilation of wine and learn about what constitutes their rankings. FREEDOM OF CHOICE - Awake to stunning landscapes as you continue along the Dordogne River. Step ashore to discover the town of Blaye with a walk around its 17th-century citadel. Overlooking the Gironde, this structure was built by order of Louis XIV to prevent enemies from sailing to Bordeaux. In the afternoon, you may like to travel to Cognac for a tour. Stop at Château de Cognac, a French cognac house founded in 1795 by Jean-Baptiste Antoine Otard to explore the storehouses and enjoy a tasting. Alternatively, set sail to the town of Bourg and take a walking tour. FREEDOME OF CHOICE: Choose to head to the underground Monolithic Church, then visit a local winery, including a tour of the network of underground cellars. Or, walk through some of the picturesque vineyards to a nearby village, stopping for a delicious wine tasting along the way. FREEDOM OF CHOICE - Perhaps join a guide for a tour of Bergerac to discover the wonderfully restored Old Town, with its charming stone buildings, tree-lined squares and pleasant half-timbered houses. Another option is a guided tour through Libourne. See the charming port area then stop at a caviar estate for a unique insight into how this rare delicacy is farmed. The experience culminates with a caviar tasting. Alternatively, you may choose to browse the local market and sample some fresh produce. Back on board, enjoy the Captain’s Farewell Dinner as you cruise towards Bordeaux. FREEDOM OF CHOICE: Today, take in the sights of Bordeaux on a tour that includes the Pont de Pierre (stone bridge) and the Miroir d’eau (water mirror). Or, perhaps enjoy a guided bike ride or a round of golf. Disembark your ship and transfer to the airport for your flight back to the UK.